Can You Paint Bathroom Tile? 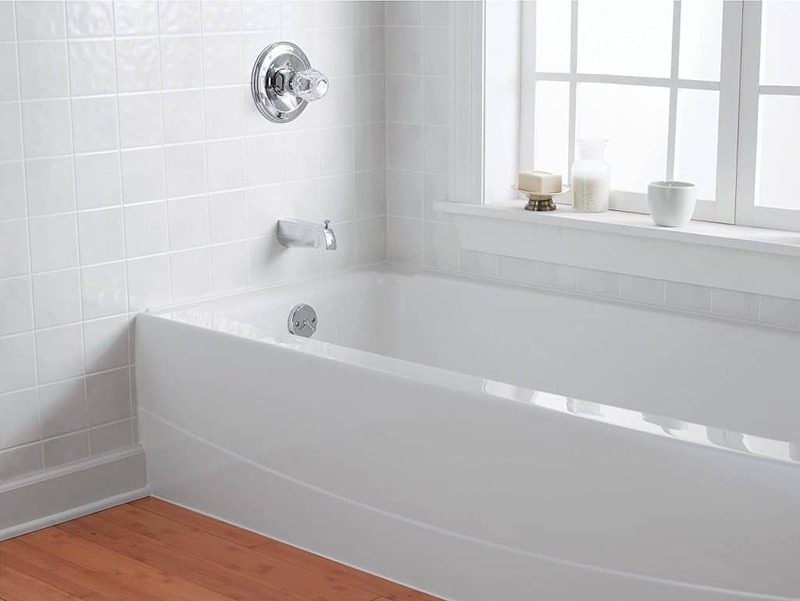 If you are looking to renovate your bathroom, you are likely looking around for ideas. You’re probably figuring out what’s doable and what’s not. This could lead you to the question of whether or not you can paint bathroom tile. Let’s take a look and see if you should do this during your remodeling. You might choose to paint all of it or just one section. This totally depends on your budget and what your end goal is. Yes, you can paint bathroom tile! This can be a great way to spruce up an outdated bathroom. It’s a fairly easy process and shouldn’t take too long. 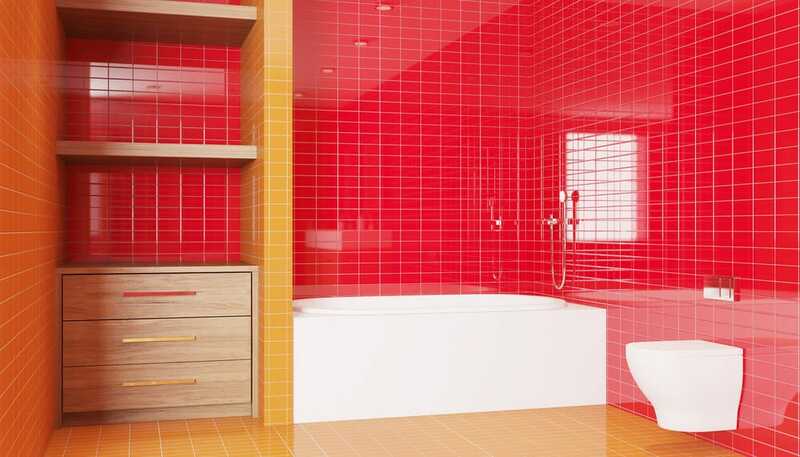 What Should You Do Before Painting Bathroom Tile? Before doing any major renovation projects, you should come up with a plan and decide what you want your home to look like afterward. This can save you a lot of time, energy, and money. Clean the tile. Get rid of any built-up scum so that you can have a fresh start. Be sure to remove any cleaner residue with a damp rag. Sand the tile. The purpose of sanding tile is to remove the glossy finish. It can be easier to paint a flatter surface. If you have caulk, you will want to remove it as best as you can. If you have grout, you can leave it as is. 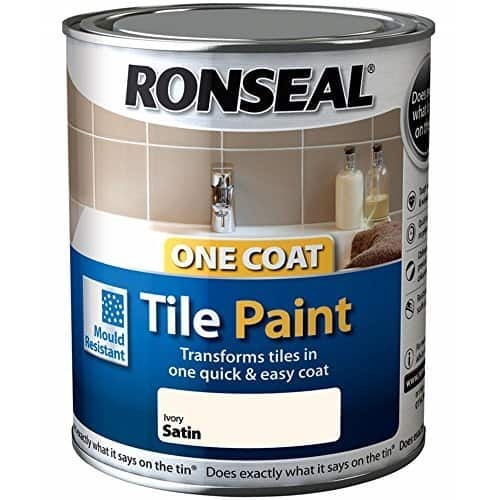 There are two main types of paint that will work on tile. These include latex paint and epoxy paint. Which one you choose might depend on your budget, availability, and personal preferences. Today’s Home Owner notes that epoxy paint comes in a smaller range of colors, so that’s worth considering. You should be able to find a good selection of either type of paint at any home improvement store in your area. For best results, visit a store to get an idea of colors are available in each type of paint. According to DIY Network, the best way to paint tile is to use a spray gun. This isn’t always an option though, so you can use brushes and rollers instead if needed. It’s recommended that you don’t use spray paint or water-based paint. All of these items should be available at any home improvement store. If painting isn’t your thing, there are plenty of skilled contractors who can do it for you. Angie’s List suggests looking around for a contractor and getting several bids. This will help to ensure that you get the best contractor and the most reasonable price. Ask your friends, family, neighbors, and co-workers for referrals. You can also check your community social media pages, such as NextDoor or Facebook, to find even more options. Before making a final decision, make sure you do your research on the contractors you are deciding between. How Much Does It Cost to Paint Bathroom Tile? According to Improve Net, it costs anywhere from $4 to $10 per square foot of tile to be painted. This is if you hire someone. If you do it yourself, you will just have to pay for the paint and any other materials you need. Keep in mind that you might need to pay a contractor by the hour or for the whole project. A contractor will also charge you for any supplies that they need. 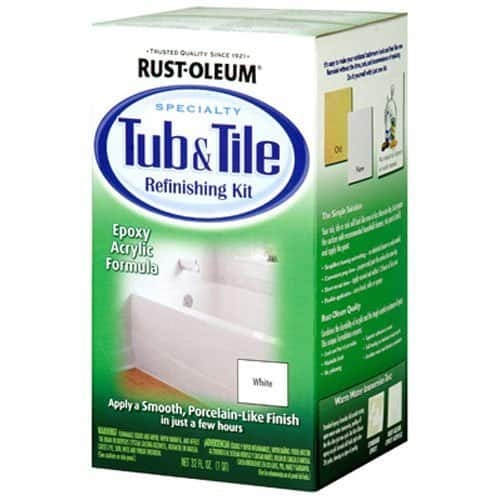 If you don’t want to go through the process of painting the tile in your bathroom, you can have it completely replaced. This will be more expensive and much more involved. If you do have the means to start fresh with new tile, that is your best option. Just do what you can though! DIY Network suggests waiting to update your bathroom tile until you can completely start over. Of course, this could take a while, so painting is not a bad alternative. In short, you can paint bathroom tile. This can be done fairly simply and relatively quickly. You can choose to do it on your own or with the help of a contractor. 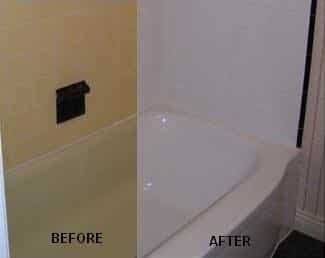 Painting your bathroom tile is a great way to freshen up outdated or older tile for a low cost! If that quota is right, I am better replacing it, our bathroom is huge! I don’t want to replace the tile but my painting skills aren’t that great, unfortunately. I’ve seen amazing results achieved just by painting the tile and all I want is to cover the outdated red we currently have with a white, more modern look. If I decide to tackle this myself I guess I’ll have to add at least three layers to cover that deep red.